The images – deep hidden seed, root invisible to all, the wide-screen world, the sacred grove, root us deep within, under the ground of being – play with each other and draw us deep within and down. Thank you! Will keep following and re-blogging. Your work is rare. Too few pay attention to the riches of liturgical tradition. It feeds the soul. 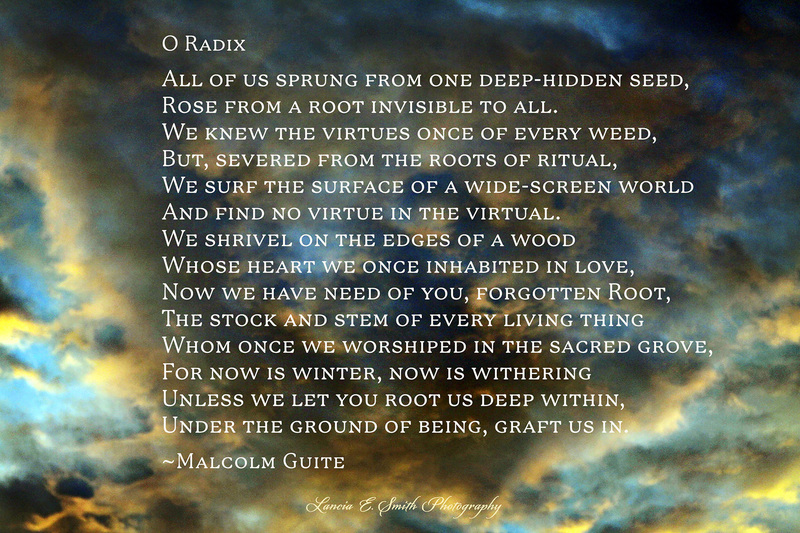 Malcolm Guite poem today roots us deep within. Enjoy. Do you see a link, as he did, between creativity, or perhaps I should say ‘subcreativity’, and connection to/estrangement from the ‘root’? I have referred to Malcolm Guite before, a Christian poet, musician and thinker who has been adding his wise and creative voice to Inklings scholarship for some time now. In the advent season, where poetry comes to us more easily, I thought I would introduce his poetry blog, and this Christmas season reflection. Malcolm Guite’s sonnet reminds us of a part of the Christmas story that it’s tempting to forget. Rightly we delight in the infant God in the manger, already (in painters’ imagining) lighting up the world about him; we “thank God for his indescribable gift.” Yet already, fleeing from a fearful Herod’s terrorism, he shares and bears the sufferings of many, down to today. Dare we, though also fearful, turn them (him) away? (larger font, bold) May your Christmas be merry and bright, and all your New Year be compassionate. Thank you. I’m honoured that you did that. I am deeply indebted to you for a fine piece you wrote in Lewis as a poet! Thank you! I’m glad Brenton has brought me to this! It reminds in general of David Jones (I don’t remember if he ever works with this or any O Antiphon, in particular). It also reminds me of the carol in the Ritson Manuscript, about which I learned from an 18 December 2012 post by A Clerk of Oxford (a great O Antiphon lover and illuminator!). 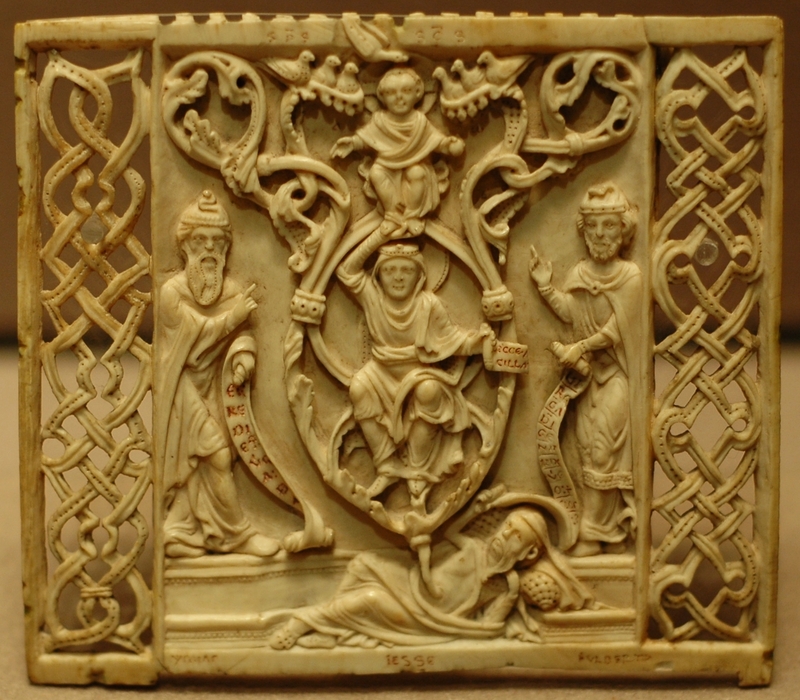 I am keen on Jones and his Vexilla Regis as well as the Anglo-Saxon dream of the rood both influenced this poem. I also love Eliot essay to which you refer! Is the “Refugee” sonnet to which Charles Huttar refers the one found elsewhere on this site? Fr. John Zuhlsdorf had a very interesting (though that’s too bland a word) quotation from Caesarius of Arles and discussion of it on the Feast of the Holy Innocents, which (to my thinking) ties in with your ‘O Radix’: e.g., in discussing the clause “primas erumpentes ecclesiae gemmas quaedam persecutionis pruina decoxit” about gemma not being just “gem”, but also being able to be read “bud, blossom”, and decoquo being “to reduce by boiling” and decoctum used by Pliny for a medicinal drink. Virtues ‘blossoming’ into becoming salutarily known again through terrible (but not exclusively terrible) ‘decoction’!